Early last year I calculated the number of months my kid was. He was a few shy of hitting 100 months. Yes he was 8 years old, and no I didn’t go around saying my baby is 96 months old. But I thought – 100 months sounds like a fun milestone to celebrate. Why not make a little big deal out of it, and surprise him, especially considering since his bday is January which I think is a rip off but he doesn’t mind. The hubs and I agreed – 100th month birthday would be a thing. 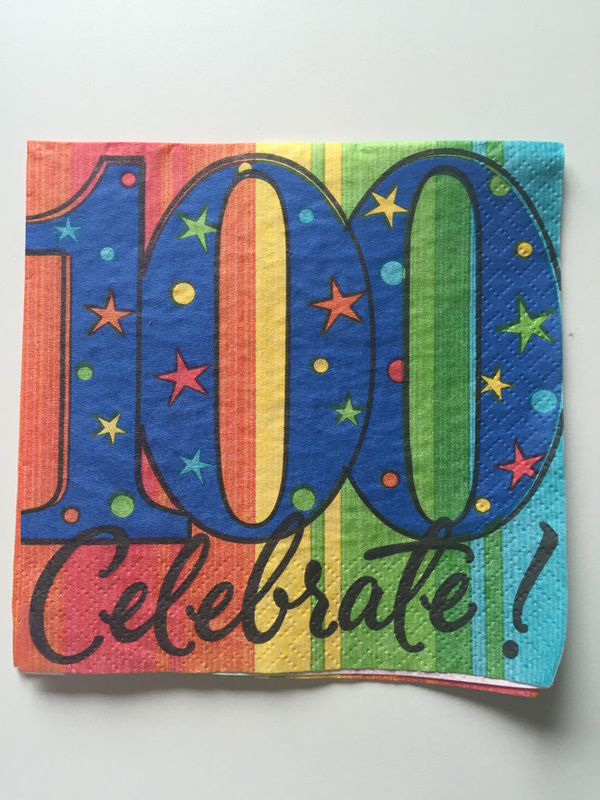 Fast forward to May 2014 and our kid woke up to a room filled with 100th birthday napkins, Happy 100th Birthday balloons, a special poster made by hubs celebrating his 100th month milestone. He was surprised and loved getting a present. He realized thought it wasn’t really something that usually gets celebrated. I was trying to make this a thing for him. Much like his Punch Buggy phase a couple years back. He said Pinch Mini was part of the car game and we punched and pinched every time a Volkswagen Bug or Cooper Mini drove by. I added in pat pat Fiat . I pat patted every time we passed a Fiat only to hear him exclaim “It’s not a thing! You can’t just make it a thing!” He did think the hubs’ booby bus was funny though. We gave our kid a badge that said I’m 100 months! We went out for special sundaes to celebrate and he was happy with that. It’s ok if this doesn’t take off as a thing, but if you or your friends have kids under 9, go ahead and celebrate. Just remember you heard it here first.